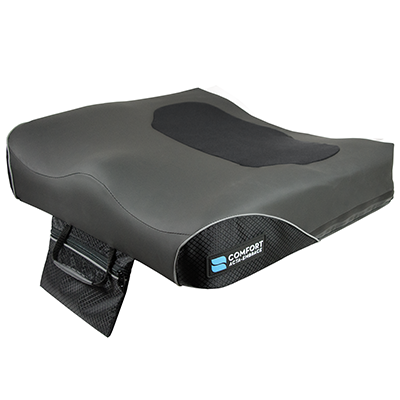 The Acta-Embrace™ provides comfort and skin protection with two layers of foam, a contoured molded base foam with a layer of memory foam. 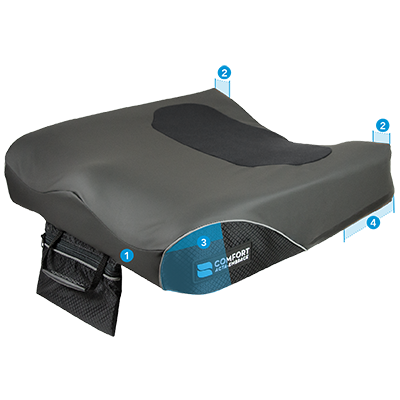 Offered in two different styles: the Anti-Thrust which provides anterior pelvic build-up to prevent forward migration, and the Zero Elevation which allows for greater freedom of movement for standard positioning issues. 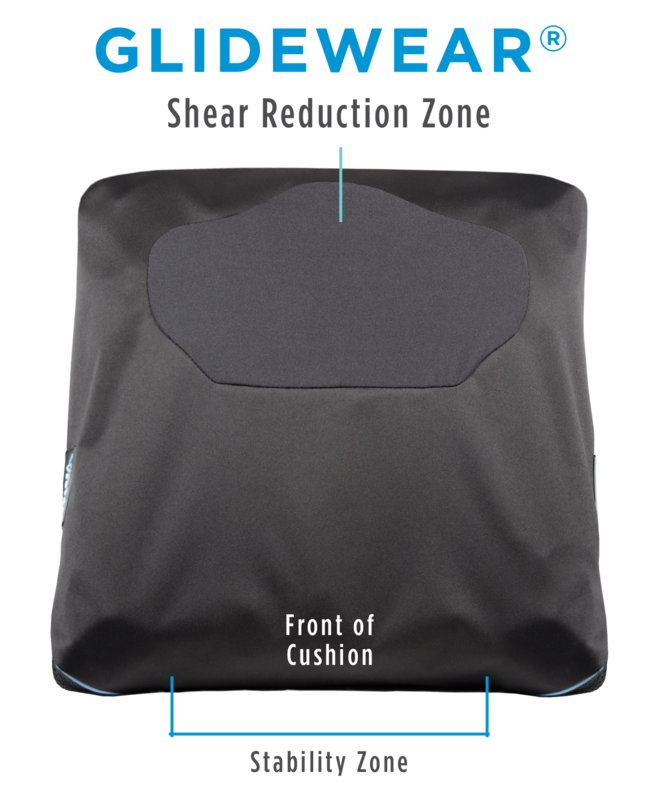 GlideWear is designed to promote healing and reduce the risk of pressure injury through the use of the Shear Reduction Zone. GlideWear provides reduction of shear forces to increase skin protection, 100% breathability for microclimate control, and improved comfort from reduced friction. The GlideWear technology option is available as an embedded upgrade to Stretch-Air & Comfort-Tek fabric options. Latex free. Tapered leg adductors increase in width near the back of the cushion to give support to the greater trochanters. 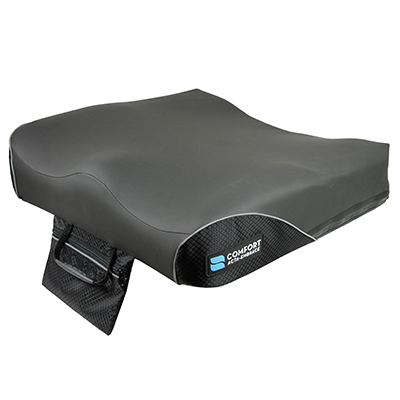 Two layers of foam, a contoured molded base foam with a layer of memory foam, provide comfort and skin protection. 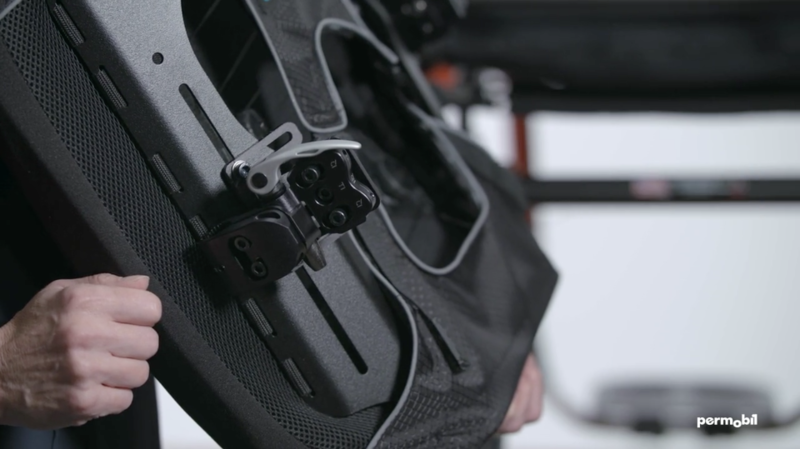 Comes standard with non-skid bottom and hook and loop attachment.